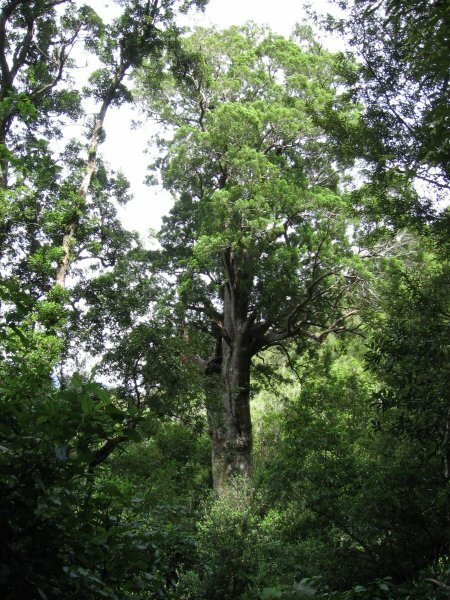 There are two very large matai trees at this location with many other juvenile trees in the vicinity. The native cover in the Cable Bay area was originally burnt off by Maori in the mid 1800's in an effort to attract European settlers to purchase the land for farming. These trees lie in pockets of bush that survived these burnoffs. 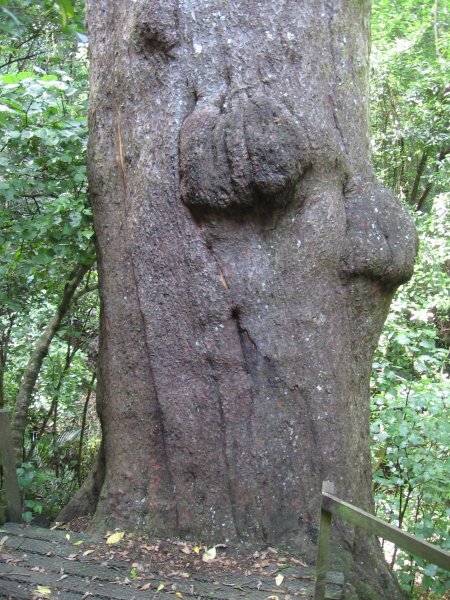 The second tree is 100m to the north (see tree NNR/0779). 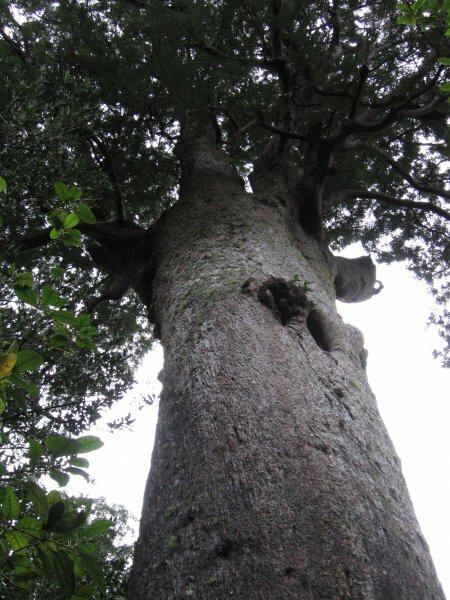 In July 2008 this tree, it's Māori name meaning 'Noble Lady, developed several spiral cracks down the stem as a result of strong easterly winds gusting at 160kph. The upper canopy shows many signs of earlier wind damage (Cadwallader Dec 2010). 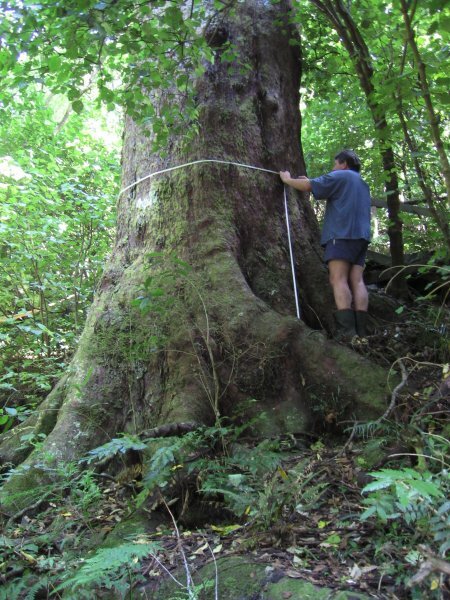 A difficult tree to measure. Height taken from mid-slope. taken from mid-slope. This coincides with ground level on the high side of the tree. In good health but structurally very unsound. A single stem to 12m branching into 5 branches. Many large branches have fallen from the eastern side of the canopy. 23 Dec 2010 Cadwallader, B.G. & Gordon, L.
Happy Valley Adventures is located 15 minutes to the north-east of Nelson on Cable Bay Road. Quad bikes can be hired to view the tree or staff can organise a van to transport groups. The tree is a short distance from the 'Sky Wire'.